CORPUS CHRISTI, TEXAS, UNITED STATES, October 31, 2018 /EINPresswire.com/ -- Cravey Real Estate Services, Inc. has been awarded the leasing for local shop space in the Outlets at Corpus Christi Bay. The Outlets at Corpus Christi Bay is located in Robstown, TX on North Highway 77 near the Richard M. Borchard Fairgrounds. 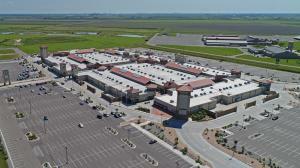 The 361,448 SF outlet mall was built in 2016. Matthew Cravey of Cravey Real Estate Services, Inc. assisted the developers in the purchase of the 74 acre tract for the development of the outlet mall. Major retailers include Nike, H&M, Francesca’s, GNC, Lids, Skechers, Converse, Kay Jewelers, Guess, Torrid, and more. Lynann Pinkham of Cravey Real Estate Services, Inc. is responsible for the leasing of local shop space at the mall. Lynann heads the retail division of Cravey Real Estate Services, Inc. and oversees the leasing of 35 shopping centers throughout South Texas. Cravey Real Estate Services, Inc. is a full service commercial and industrial real estate company based in Corpus Christi, Texas. We sell, lease, and manage Commercial, Industrial, Warehouse, Office, Retail, Shopping Centers, Land, and Investment Properties in Texas. To learn more, visit our website.